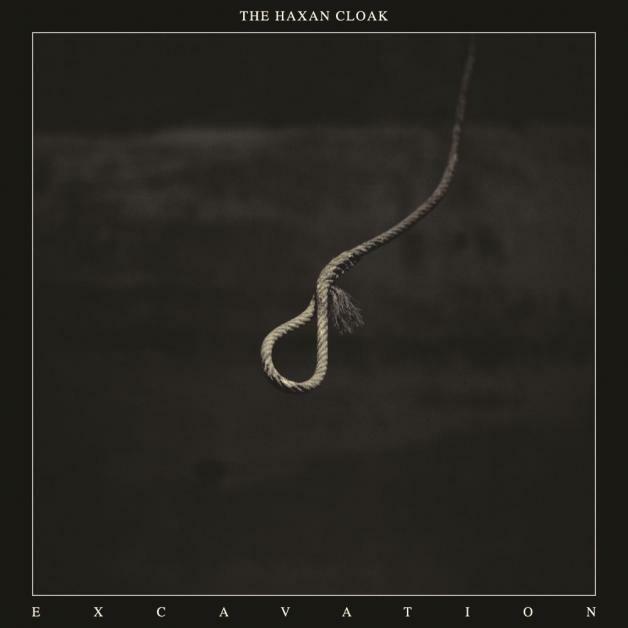 The Haxan Cloak is Bobby Krlic, a musician, composer and producer from West Yorkshire, by way of Brighton. His eponymous debut album was recorded in his parents shed, with Krlic playing every instrument, a remarkable feat considering the end result which is the sound of a strong quartet performing a sludge metal opera based on a Dennis Wheatley novel. 2013’s ‘Excavation’ is a thematic continuation of that first record. Krlic has talked about them as a pair of concept albums over the course of which a central character moves from life through death and into something beyond. If death is the final frontier, then judging by ‘Excavation’ its territory is utterly unrecognisable. Where the debut record could have been a dark and foreboding piece of contemporary chamber music, this sequel is an entirely different experience. It’s black as pitch, a chasm with a floor that can only be detected by the echo of bass depth charges as they ripple up from below. The palette is electronic, and throughout are scattered semi-familiar sounds that serve partly to lull the listener by presenting something familiar, before casting it into the void. There are beats, emerging and enveloping, but rather than convey motion or structure they drift in like the sound of a slowly extibguishing heartbeat, or the skitter and scratch of twitching neurons. It’s difficult to describe ‘Excavation’ as a listening experience. The sense of both space and detail that Krlic creates is overwhelming. Listening to it on a system with significant bass output, as we did this evening, the record seems to surge out into the room and construct an entire world around you. There are sub-structures being built just below the range of normal hearing, entire sections of the music that play out in the bones and the skin and the walls and the floor. The intention may be dark, but it’s beautiful too. If you buy the concept, then there is comfort to be drawn from staring into the abyss. If you don’t, then this is still a compelling and overwhelming achievement. Tom listened: Well, I’m not sure the word ‘enjoy’ can really be used in the context of Excavation, but I came to within a whisker of it, especially as the album progressed (in some of the later ditties, the sounds of the record began to mix with something akin to a tune…in the loosest sense, admittedly). In my response to Nick’s record from this round, Dawn of Midi, I compared it to John Coltrane…and I thought I may as well extend the comparison to this. Because it struck me on the night that both The Haxan Cloak and Coltrane are/were primarily interested in challenging their audience, and themselves, by pushing the boundaries of what we previously have perceived music to be. But whereas Coltrane looked to stretch the music beyond what had come before, Krlic is using sound and texture and a kind of lack of musicality to much the same effect. So whilst Coltrane played loads of notes – too many for some perhaps (according to Nick, Miles Davis struggled with Coltrane’s later output), The Haxan Cloak play next to none and, whilst this would normally be a bit of a turn off for me (and, to be honest, it was at times), Excavation reminded me of music just enough to keep me interested. That said, if it had those horrible throaty death metal vocals over the top, I would have run a mile!